Amplify ministry, of which I'm a member of, played host to the first combined SACCRE youth rally last saturday and i was roped in to cook something as part the refreshments. It's almost natural for me to suggest brownies. Someone else was already going to bake that. So I decided, why not try cooking something savoury this time? Besides I had this croquette recipe I've been wanting to try out. I know you're now wondering how it turned out. Well, what do you think? The croquettes were a big hit! So much so that they were wiped out pretty fast. Some of my friends didn't have a chance to try them. I'll definitely make more next time! Anyway I do like the way my croquettes turned out. And it's all thanks to Alice Lim, of whom the recipe belongs to. Remember about my post of my involvement in publishing a cookbook during my mass comm. days? Yes, it was entitled, "Generation to Generation - A Heritage of Recipes. It's basically a compilation of recipes by some church-goers of thie Paya Lebar Methodist Church that we assisted. I haven't had a chance to try out any recipes from the book, until now. And I got to admit that the success of these croquettes just makes me want to go back to the book and try the rest of the recipes! I'm sure you're also wondering how croquettes are made. Think of it as something akin to those chocolate Kinder surprise eggs. You have a chocolate 'shell' and a toy 'centre' yea? 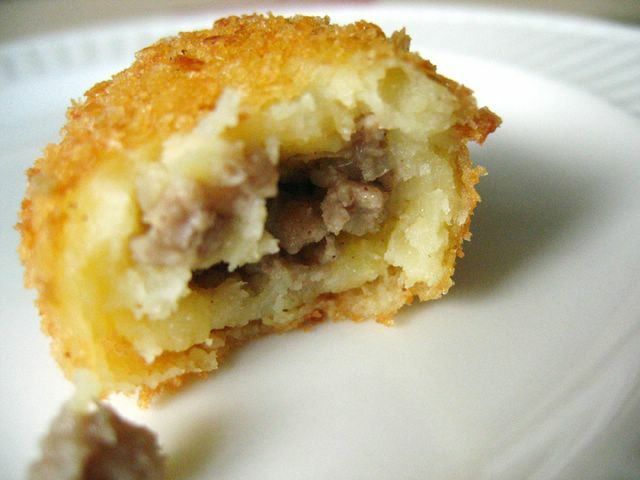 Well croquettes are actually made of potatoes and filled with savoury 'insides', which in this case, happens to be pork. I'm sure you can substitute them as you which, especially if you're not supposed to eat pork. It's quite flexible. I'm even thinking of stuffing them with cheese the next time I make them! 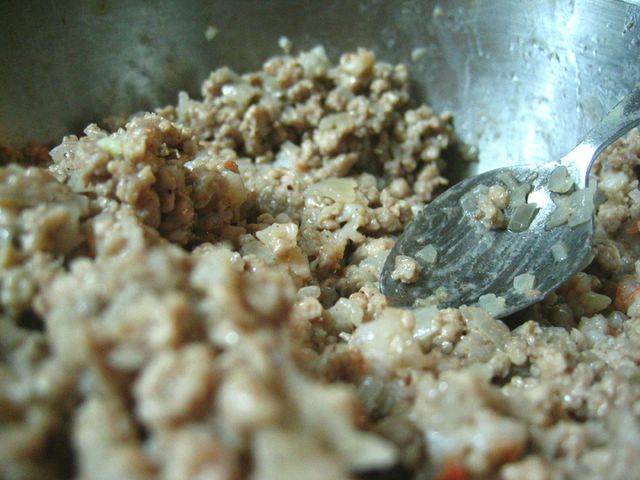 Here's how the filling looks like: pork, prawns, onions, etc. Prepared croquettes, waiting to be coated in breadcrumbs and fried! Time to fry them croquettes. Fried croquettes, waiting around for their fellow 'men' to be cooked! Now, I think it best to cook the croquettes just before you serve. That ensures the crispy-ness of the outer 'shell'. But of course, if like me, you're strapped for time, then you can make them before hand, but preferably on the same day. Good thing about these croquettes is, you can prepare them a day ahead but fry them only on the day you'll be serving them. 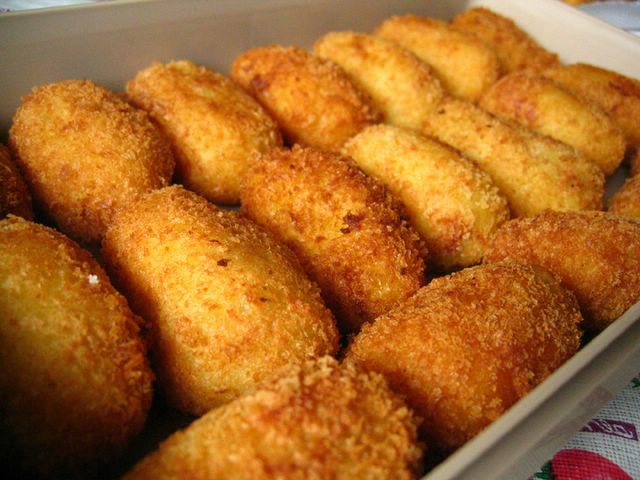 Croquettes reminds me of 'bergedel', this other similar Malay food that uses potatoes too. But I do believe croquettes originated from France, at least that's what the Wikipedia entry on Croquettes states. 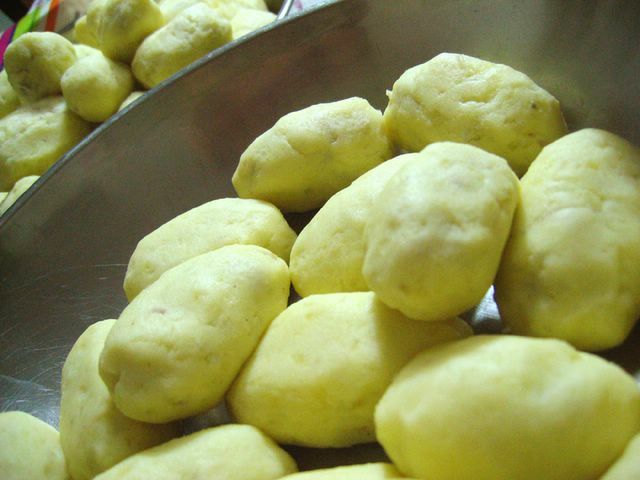 It was introduced to the Netherlands in the 20th century and has since become a popular snack. You know it's popular when McDonald's sells them in the form of McKrokets - a burger with a large disk-shaped croquette in place of the normal meat patty! Add the butter, salt, pepper, milk, yolk and rice flour to the mashed potatoes and mix well. Set aside. 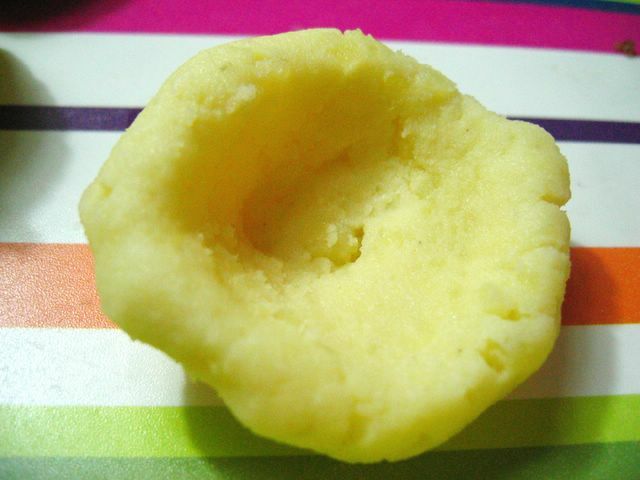 Take some of the potato mixture, approximately the size of an egg and make a hole in it. Then put in 1 tbsp of the filling and wrap the potato mixture over into an oblong shape. Repeat until all the potato mixture and filling is used up. 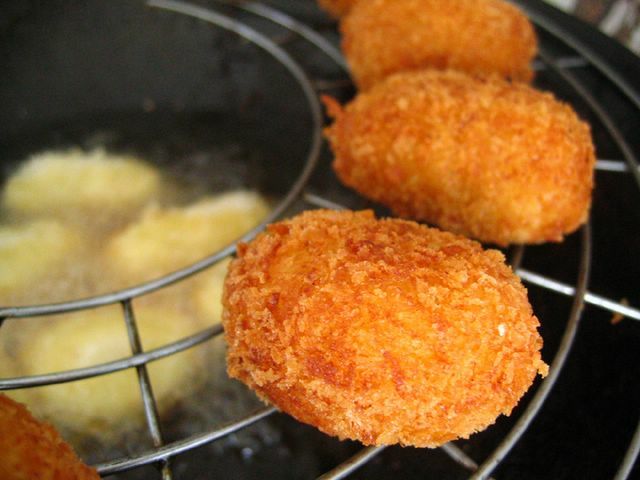 Coat each croquette lightly with egg white, roll in breadcrumbs, and deep-fry. 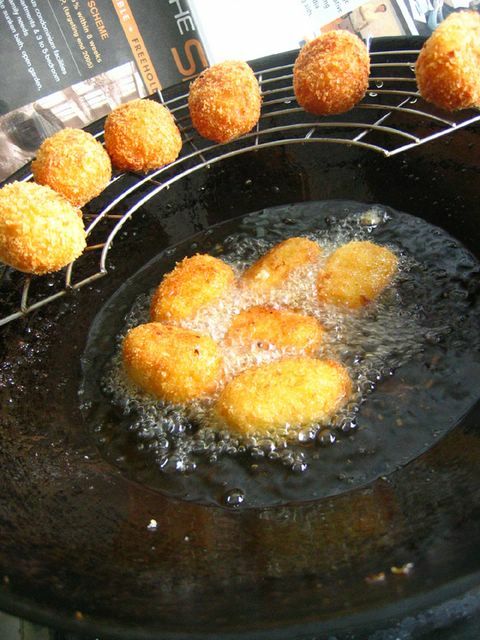 If your frying pan is large enough, 4 croquettes can be fried at a time. Note: Croquettes may be kept in an airtight box in the refridgerator for up to 4 days without frying. *The baker: I think it best to boil the potatoes rather than steam them - it's alot faster. The recipe didn't state its yield but I doubled the recipe and got about 50 croquettes. 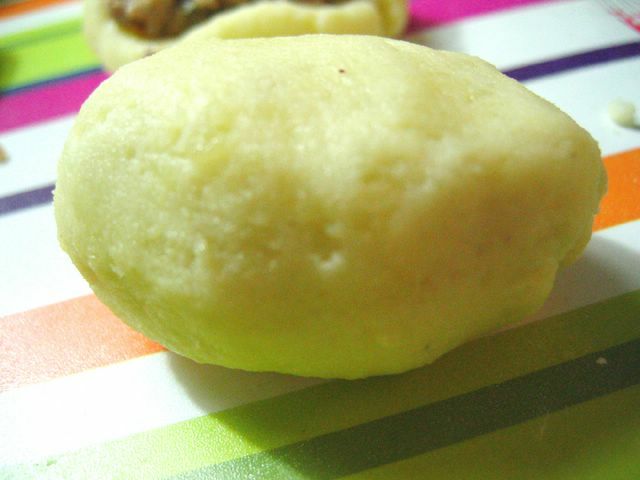 So I guess this recipe makes about 25.
am definitely gonna try this one day :D thanks for posting the recipe..
Hi! 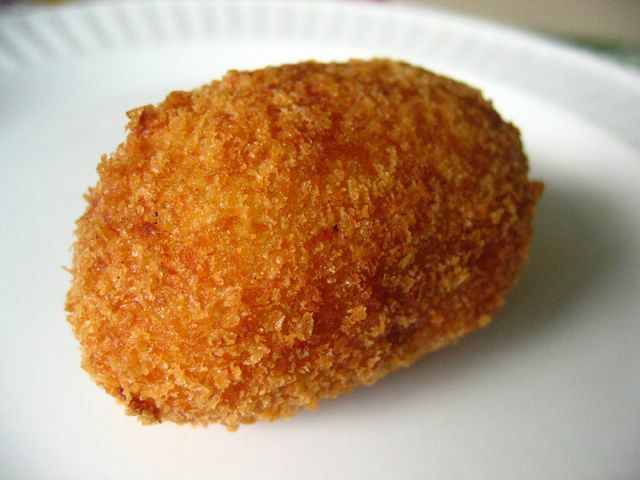 The croquette looks yummy! 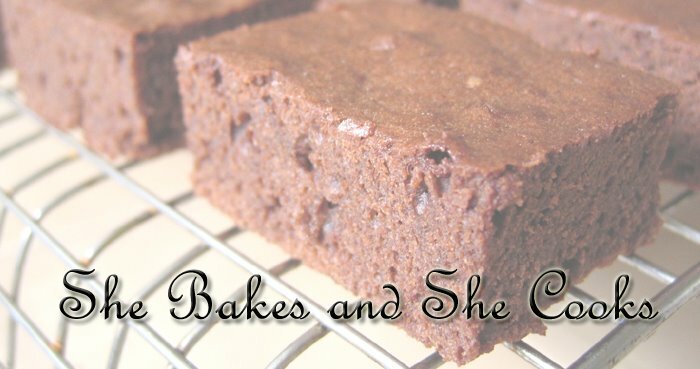 Lovely recipe and photos! I would really like to make this for a picnic party. And I was wondering how long does your croquette remain crisp after frying? Thanks. They look delicious! I love the texture of croquettes - that crispy outside and chewy inside. 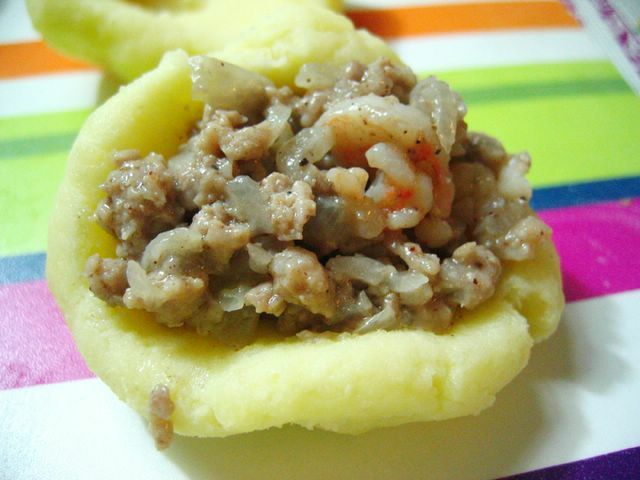 I might try making them sometime, thanks for posting the recipe! ooh, I love croquettes, and yours look awesome! Great step-by-step pics, Cheryl! That looks absolutely delicious. I'll have to try it. Instead of potatoes, can I substitute with anything else like yam or taro? thanks for the compliments! you all have to try making these yourself. it's well worth the effort i must say. hmm i'm not sure if you can substitute the potatoes. you can try? probably get something with as much starch content? i think sweet potatoes could do. yam/taro might work too lisa... why don't you try and let us know? =) we could all learn something new! wow! these look really yummy! im sure they taste equally good if not better! I must try this soon! Hi Mag, I tried your croquette recipe cos it looked so yummy. I followed your recipe but I thought the potato mixture was not salty enough for my liking. I recommend adding more salt and pepper to those who want their croquettes saltier. Anyway thanks Mag for your great recipe! Can I use 450g of minced pork instead of 300g minced pork+150g prawns?Also, is this recipe you typed here doubled or not yet doubled?Thanks!